URBANA, Ill. - University of Illinois Extension has released a new smartphone app to assist applicators with many of the calculations that are used when setting up and calibrating a sprayer. Pesticide Spray Calculator, or “Spray Calc," was developed by Scott Bretthauer, an Extension specialist in the pesticide safety education program. Spray Calc is now available free for both Apple iOS and Android smartphone platforms. Calibration: Allows user to calibrate four different sprayer types (Aircraft, Ground Rig, Turf Boom, and Boomless). PSI for GPM: Allows user to calculate required pressure (in pounds per square inch, or PSI) in order to provide a specific flow rate (in gallons per minute, or GPM), or do the opposite. Nozzle Speed: Lists the minimum and maximum speeds for a specific nozzle. 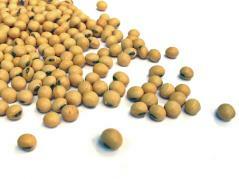 Convert Value: Assists users with various pesticide application-related unit conversions. Help menus are available throughout the app to provide users with both guidance on the function of app components and definitions for many of the listed variables. “For most variables, touching the name of the variable brings up a definition of what the variable is and how it is measured,” Bretthauer said. The developer also has plans to add a function to assist with tank mix calculations and more. 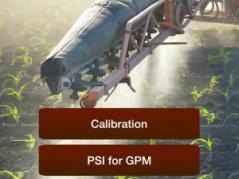 Spray Calc is available at https://itunes.apple.com/us/app/sprayer-calibration-calculator/id899216316?mt=8 for Apple iOS devices and at https://play.google.com/store/apps/details?id=edu.illinois.extension.spraycalculator&hl=en for Android devices. For more information, visit the July/August 2014 issue of the Illinois Pesticide Review at http://web.extension.illinois.edu/ipr/i9001_829.html#128075. Members of the public are encouraged to contact Bretthauer at 217-333-9418 or sbrettha@illinois.edu with any questions or suggestions on additional functions.